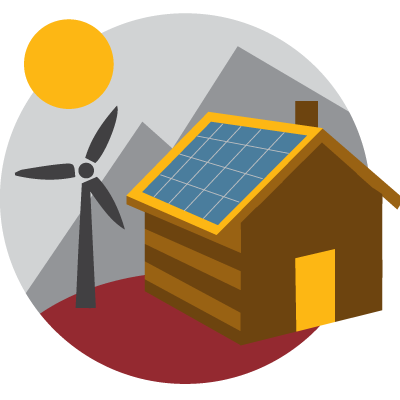 Based in Bozeman and Billings, Montana, Harvest Solar is a locally owned, licensed electrical contractor offering affordable energy solutions to homeowners, businesses and nonprofits throughout Montana. Owners Brad Van Wert and Kyle MacVean are deeply involved in every aspect of each project. By keeping our operation small, we are able to keep costs down and come up with the most affordable solutions to meet your goals. This personalized approach ensures the highest level of quality. You can rest easy knowing all your needs will be taken care of by expert solar professionals with more than 15 years of experience. As the world reimagines how we source our energy, solar stands at the heart of this transition. We are excited to work with you to power your home or business with solar. Based in Bozeman and Billings, we service all of southwest Montana. We are, however, happy to travel around the state when our schedule allows it. Whatever your energy needs may be, we are here to help! From small-scale residential, to large-scale commercial, to off-grid and battery-based backup systems, we do it all. We believe there is an affordable solution for everyone's power needs. Let us show you how. 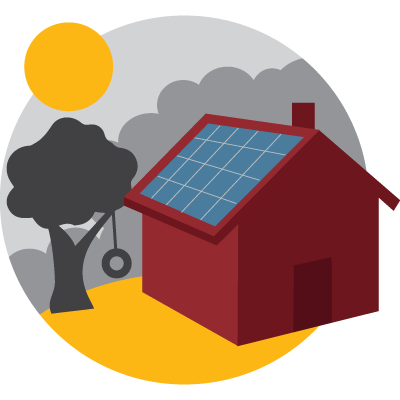 Power your home from the sun and enjoy the benefits of clean, reliable, affordable energy. Save money with solar and reinvest it in your business. Commercial grants and incentives help you save even more. Get clean, reliable power no matter where you live. 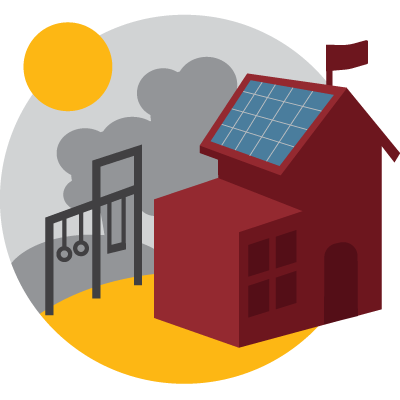 Show your commitment to a healthier planet while also saving money and teaching your constituents first hand how solar works. The fact that energy costs will not be decreasing for the foreseeable future made this decision a no brainer. I look forward to sunny days, power savings and working with Harvest Solar on future projects. The panels produce direct current (DC), which is converted to alternatingcurrent (AC) by an inverter so it can be used by appliances in the home. 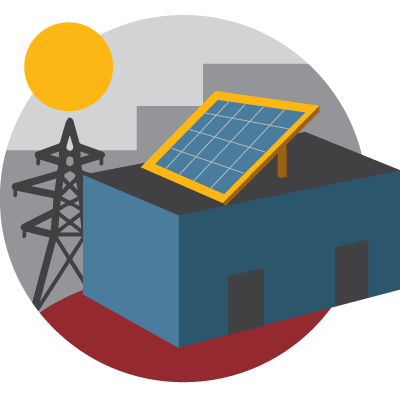 Net Metering is an electricity policy for utility customers who operate their own power systems using solar (PV). PV systems are ‘tied’ to the utility grid via your main service panel and meter. When generating more power than is needed at your site, excess electricity is shipped to the grid through the power meter, reversing the meter from its usual direction. When you put power onto the grid you receive a credit for each Kwh. To achieve‘Net-Zero,’ your system will be designed to generate the same amount of Kwh that your site uses over the course of a year. Take advantage of a 30% federal tax credit and up to $1000 in MT state tax credit. Where applicable there may be utility grants available as well. The cost of solar has been reduced over 25% in the last few years alone. National studies produce clear data that home with Solar Electric systems sell faster and for more money. As sure as the sun will rise, your solar electric system will create energy and keep money in your pocket. A penny saved is not only a penny earned but one you can monitor, calculate and keep track of in real-time. Free yourself from dependence on the utility and volatile rate increases. Lock in your electric rate for 30 years or more. Wondering if you’re a good candidate for solar? Get in touch today to learn more about all the benefits of powering your home or business with clean, reliable, affordable energy.